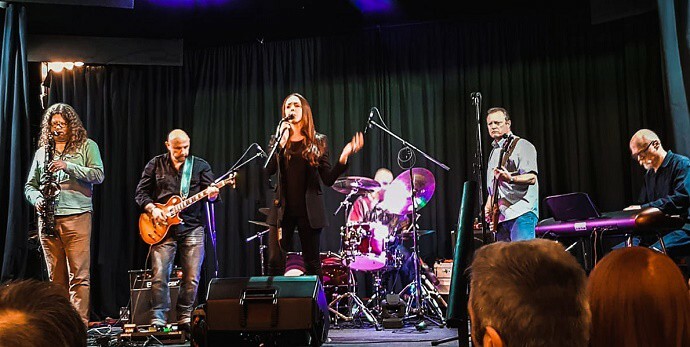 The RockThePav2 benefit concert in Broadstairs last weekend raised the roof for charity when hundreds of music lovers donated generously to make it a record-breaking afternoon. 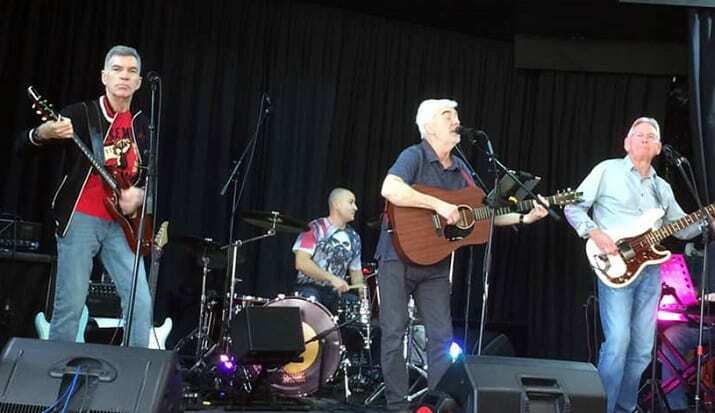 At the end of one of the best ever free live music sessions at the Pavilion, the final sum for the Pancreatic Cancer Research Fund had outstripped last year’s inaugural RockthePav show. Before the final song of the afternoon, Pancreatic Cancer Research Fund co-ordinator Yasmin Bailey took to the stage with a surprise announcement. Organisers guitarist Phil Hunt and drummer Andy Burring said: “It was an overwhelming afternoon. The whole show was brilliant and it was such a happy, friendly and supportive crowd who were so generous and really raised the roof as our five excellent bands took to the stage to play for free. 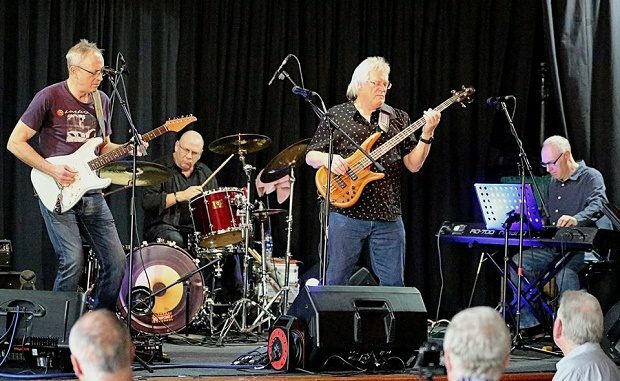 Phil (below, left), who played with several of the bands during the afternoon, said: “Since being diagnosed with stage four pancreatic cancer in March 2017 I have been determined to raise awareness and to help raise funds for research into one of the most aggressive forms of cancer which often goes undetected until it is too late. Andy added: “Thanks go to Yasmin and her terrific fundraising team at PCRF, all the band performers, Griff Rising and his team for the splendid sound system, Frank Harvey who was our MC, Dan at the Pavilion (Thorley Taverns) for allowing us to host the event, and Peter Barnett for his support in promoting the show. 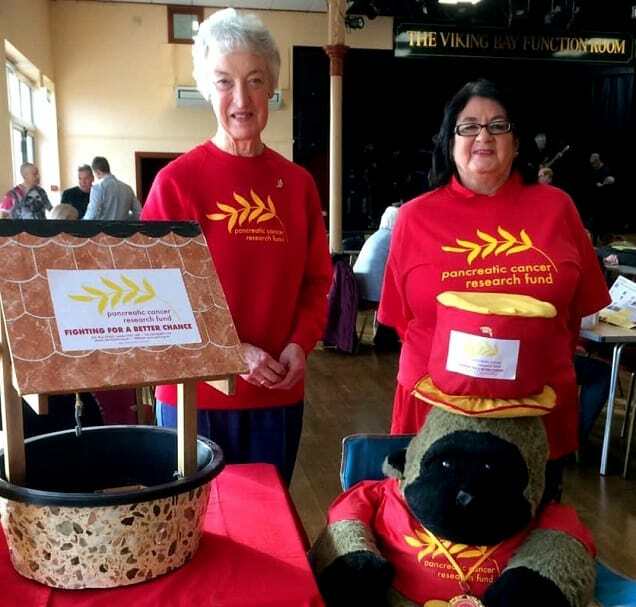 Thanks Isle of Thant News for the support you gave us by publishing the RockthePav2 charity event beforehand and for the follow up report celebrating its success.